Take care of hunger pangs in a healthy way with fresh, healthy, homemade soup from the multi-functional Soup & Smoothie Wizard. 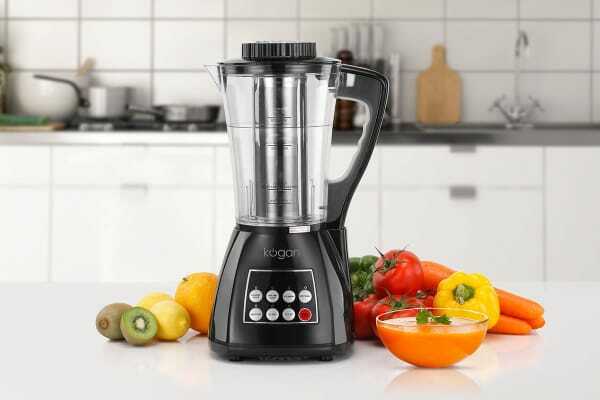 The Kogan Soup & Smoothie Wizard is easy to use with its digital display, while the overflow and locking lid functions make it super safe to use around children. 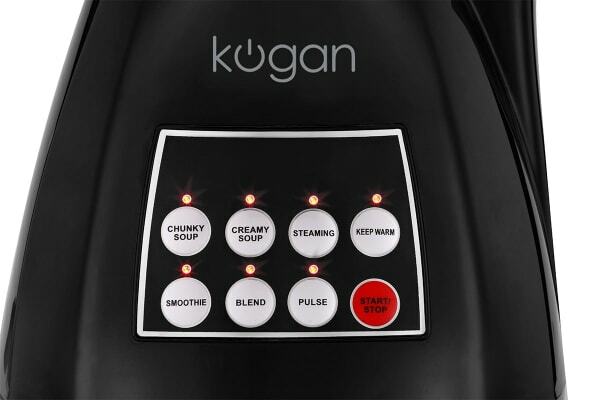 With 6 great functions to choose from, this one appliance gives you a great variety: ON/OFF, Soup Smooth, Soup Chunky, Reheat, Blend, Pulse and Boil/Steam. Enjoy a variety of textures when you cook with the Soup and Smoothie Wizard. Perfect soup in 30 minutes flat! Place the ingredients for your favourite soup into the large 1.7 L jug, set to your liking (Soup smooth or Soup Chunky), and forget! Your favourite soup, cooked and blended just the way you like, will be ready for you in 30 minutes flat! 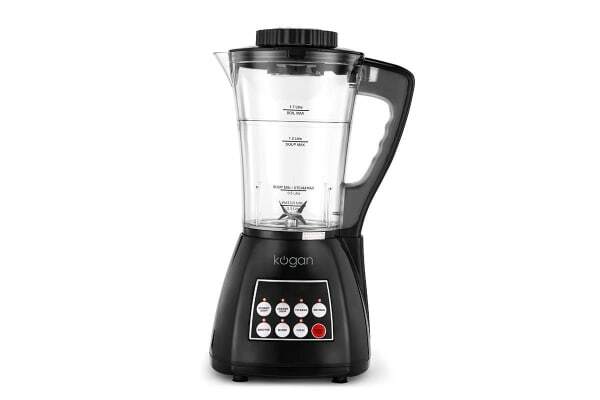 Use the Kogan Soup & Smoothie Wizard all year round. Make hot and delicious soups to keep you warm in winter. And when the weather starts getting warmer, make delicious ice cold smoothies and cocktails! You can also create delicious dips for parties or use the egg basket to get perfectly cooked eggs for breakfast. Does the thought of cleaning up deter you from getting a quick fix for those mid-afternoon hunger pangs? Smile, cause this appliance is super easy to clean and saves you time! Found it to be very good so far. Just difficult to lift/wriggle jug from base, may free up over time but would suggest that the base unit should have a hang grip or some method to make it easier to hold whilst trying to lift/wriggle jug off the base. Good general use. Ample size, quick cooking.